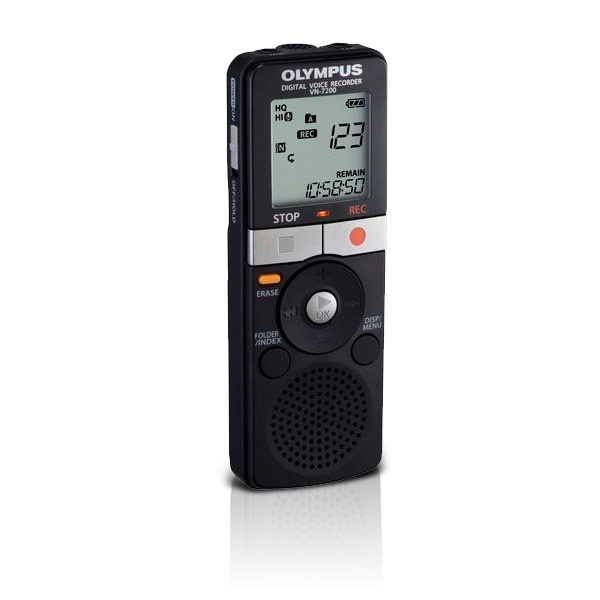 This Olympus Digital Voice Recorder offers up to 1,151 hours of recording time along with a simple design that makes it easy to use for everything from classroom lectures to boardroom meetings. The economical VN-7200 is the perfect reason to finally get rid of messy and unreliable tapes. 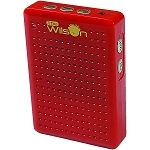 - Voice Activation extends recording time and saves battery life by recording only when the microphone senses sound. It also saves you the time and energy of manually stopping and starting the recorder. - Slow & Fast Playback modes let you listen to audio 25 percent slower or 50 percent faster than real time. - Index Marks let you specify a particular point in a recording or playback for easy retrieval. - Select from three recording modes to meet your specific needs: HQ for high quality; SP and LP for extended recording.